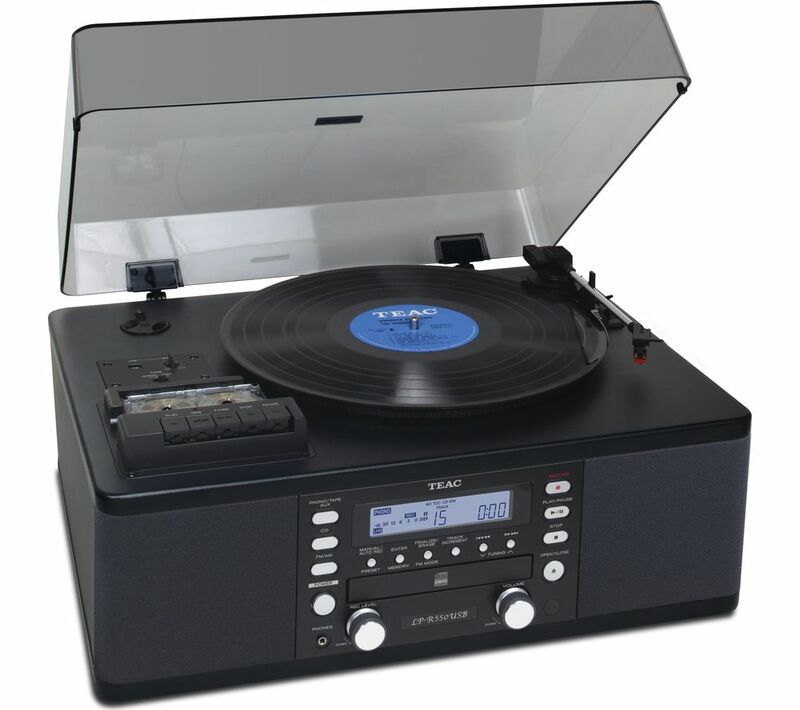 In a world where technology is advancing faster than ever, hold on to those treasured vinyls, cassettes and radio programmes with the Teac LP-R550A Turntable. In addition to being able to playback these audio formats, you can also copy them onto CD-R and CD-RW or convert them to a digital file, so you take your favourite songs from the 70's with you on your commute, or share your daughter's radio interview with friends and family. With cassettes becoming obsolete, this is a great way to preserve and duplicate tapes that you can no longer buy. With a cassette playback deck, a CD recorder and player, an AM/FM radio, a 3-speed turntable and an auxiliary input, the LP-R550A Turntable is the ultimate all-in-one audio playback device. It is a serious piece of audio equipment, but it is simple enough for anyone to use. Thanks to the auxiliary input on the rear panel of the device, you can even record digital formats onto CDs. Copy a whole album or select individual songs using the pause function. It's never been easier to make your own professional level compilations to give as a gift or leave in the car for your next road trip. The stylish, classic console will fit neatly into any home and complement any room or décor. If you don’t want separate speakers- this is the one!! My husband said the best present ever! !